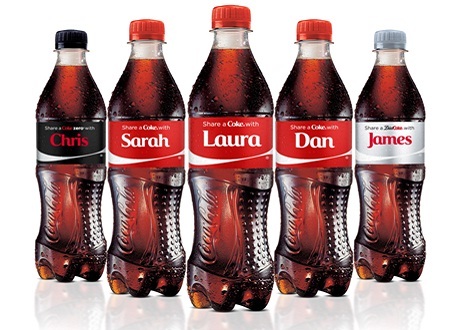 For Coca-Cola’s U.S. “Share a Coke” campaign, Nosco was selected as one of four Digital printers to deliver personalized labels throughout the country. Nosco printed labels 24/7 for over 10 weeks on the HP Indigo 6600 to help fill the demand for the campaign. Nosco has been a leader in the digital printing arena, printing over 8000 different SKUs and more than 500 million labels and cartons since 2004. As a recognized leader, Nosco has been a beta-test site for various HP Indigo label machines and North America’s first HP Indigo 30000 Carton machine. For more information about Coca-Cola’s marketing campaign, please read the News Release.